Your daily mail will almost always contain at least one postcard – for the simple fact that postcards are great performers for marketers. Direct mail is easy to track, so marketers can know what types of pieces are performing the best for certain campaigns. Well-designed postcards are a smart and economical choice for your next direct mail offer because of their high impact, lower cost, affordable postage and outstanding ROI. With a constant influx of media messages of all types, we have to find creative ways to produce the ones that will really stand out. Consumers switch tv channels, close browser tabs, switch radio stations, and use ad-blockers to snuff out mundane advertising. In today’s age, we have shorter attention spans than ever before – we skim through news stories and web content, often reading only the first paragraph of an article post before moving on to the next. Print advertising has a high-impact, tactile, even interactive presence, and that is where direct mail fits. Direct mail almost “demands” that the recipient make a conscious choice to read it. Well-designed postcards are able to capture attention quickly. 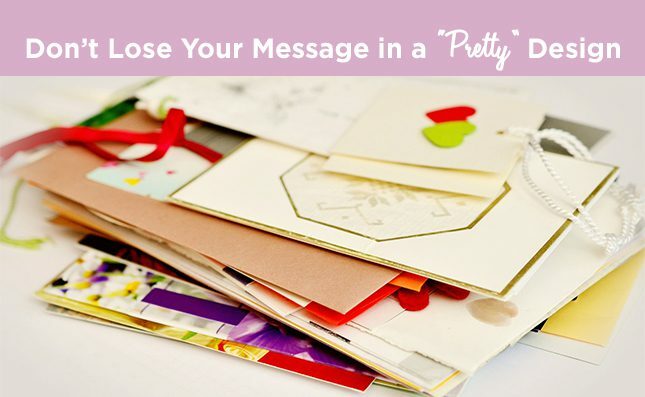 They don’t hinge on the decision whether or not to open something like an envelope or self-mailer, so the offer and the message are immediately visible with a postcard. Census has shown that 50.9%¹ of postcards received are read by at least one member of the household. That number is higher than other direct mail formats studied for comparison. Why do postcards usually cost less? Direct mail postcard printing typically costs less to produce than other direct mail formats. A creative designer is able to produce a postcard design in much less time than it would take to construct the components of an envelope mailing package (often consisting of the outer envelope, a letter, a buckslip or brochure and sometimes even a reply envelope). Fewer components to design and print equates to savings on the cost of paper and ink, production setup time and time on press. With a postcard, the only bindery finishing step is trimming the cards to final size, which is often done in-house. Postcard personalization is usually performed on high speed inkjet addressing systems, the least expensive method of addressing for postal acceptance. Postcards also save on postage because they can be sized as large as 6-1/8“ x 11-1/2“ and still qualify for letter postage rates. While direct mail postcard response rates might not be as high as uniquely shaped dimensional mail or oversized envelope mailers, the average response rate of 5%, house mailing lists and 3.6%, prospect lists, offset by the lower cost of production still equates to postcards scoring the lowest cost per response in comparison to other direct mail formats. Postcards provide a cost per response of approximately $17 for house mailing lists and $30 for prospect lists². Even with all the available outlets, direct mail still remains the leader in multi-channel marketing efforts. Print does cost more than email and web based advertising, but higher response rates justify the expense in comparison to other marketing channels. Postcards are top performers because they boast a high impact, placing messages and offers in front of the recipient without requiring a decision to open an envelope or not. 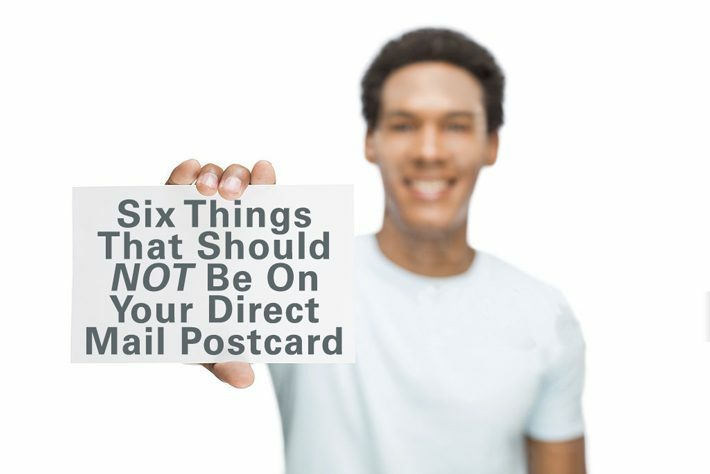 Postcards cost less to produce, which makes them attractive for marketers with limited budgets for direct mail printing. 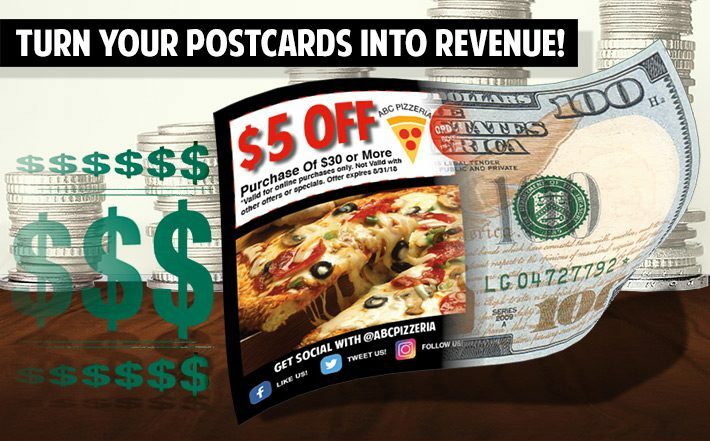 Favorable response rates plus low cost make postcards difficult to top for new customer acquisition and consumer retention. Approximately 40% of people look forward to checking the mail – the ACTUAL mail, that is – while the rest just check from habit or consider it a chore (2015 Gallup poll report). Direct mail is one of the most effective ways to get your message to a potential customer, but if you are unable to capture their attention, your amazing direct mail piece will head straight to the bin. The advantage to direct mail is its tangibility, physically putting something in customers’ grip. If you can give people a reason to look just a little longer – or keep your mail piece, they will repeatedly see your company name, message and offer. Useful items hang around. Magnets are a tried and true direct mail tool. Put your offer or brand message with your phone number on a magnet, and customers will see it every time they go to the fridge – or file cabinet – or look at their memo board. Alternatively, your mailer can function as a to-do list, keeping your product or service info handy. Another popular strategy is calendars – especially with notable local dates for sports or event schedules. If you send a mailer that is a multi-tasker, people will hang on to it. Use direct mail’s tangibility to your advantage. Try varied tactics to stick out in the stack of mail in your customer’s mailbox. Try making it “lumpy.” People will be intrigued to open an envelope with a bit of a bulge. You’ll grab their attention immediately – then all you need is a personal and direct message. If you’ve got a product for sale, you could even send a small sample. Because who doesn’t love gadgets or free stuff? Different seasons make way for different activities. A mail piece that includes information relevant to the season is a good way to trigger nostalgia for the time of year. Recipes for fall and winter holidays, party ideas, craft instructions, yard care maintenance information for the spring and summer – are all good examples of seasonal attention to detail. When paired with a time-sensitive offer, people will hang on to your mailer for the season and see your company name much longer. Tell people what’s going on in their neighborhood or town. You could send a calendar of events, or possibly a list of shops and restaurants close to their home, just be careful not to promote your competitors – If your mail piece includes a guide to a town or neighborhood, locals will keep it. This can be quite useful if you’ve narrowed your list down to new homeowners or people who have recently moved to the community. 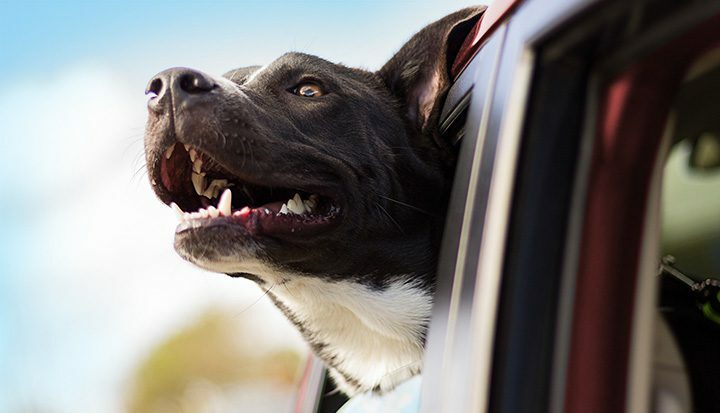 The combination of unique, useful and informative wins the day, so keep these best practices in mind when developing your direct mail campaigns – so you can keep your business coming in the door. To be able to have the most effective direct mail campaigns, you have to be able to see exactly what is bringing in your customers. The only way to be able to tell this is to track the direct mail response each campaign receives. When you know your response rate, you can test and change different methods to see which methods achieve greater success. 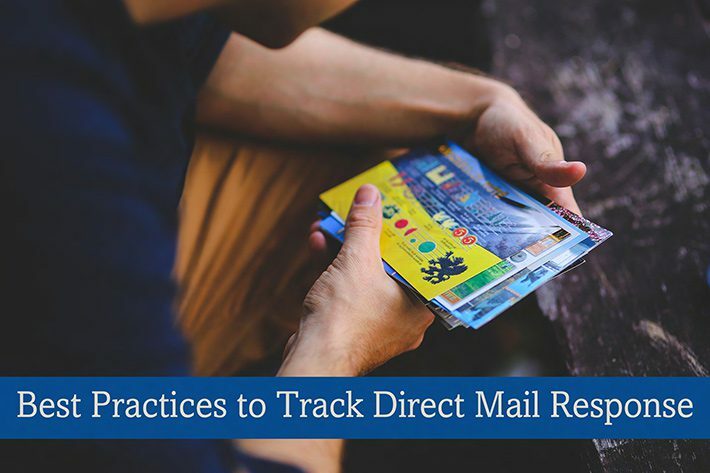 There are several different tools and methods you can use within your direct mail pieces that will not only help draw more business, but will allow you to track the response rate that these pieces garner. We’ll discuss these techniques below and how they can be useful in your direct mail. An important factor in tracking direct mail responses is to use exclusive coupons and codes for each direct mail campaign. This way you can differentiate between campaigns to see what worked, and what didn’t. It’s up to you to keep track of these coupons. Organization is the key! Figure out a system that works for you, and stick with it. Whether you have a program that will count the coupons automatically via a sequence number or bar code, or you simply keep a tally in a spreadsheet, make sure you track how many of each type of coupon has been used. Variable URLs are a creative way to drive business to your website. There are two common ways you can use variable URLs to track your response rate. The most popular variable URL is probably the promotional URL (ex. website.com/summersale) which enables advertisers to create a landing page to funnel traffic to. Generally, you want to have this unique promotional URL to have some sort of deal or access that your regular home page doesn’t have, to incentivize the customer to use it. The other common type of variable URL is a PURL. PURLs are personalized URLs that are created for specific customers (ex. website.com/johnsmith.) This type of personalization can entice a customer to respond. Using web analytics, you can track how many times these unique pages were visited and what else they did while they visited your website. This can lead to other target marketing opportunities in the future. QR codes are an excellent way to track direct mail response. QR codes can also incorporate the variable URLs mentioned above, without the customer having to type in the entire web address. However, keep your audience in mind. Most people under 30 are familiar with QR codes and find them an easy, convenient way to reach a website. While on the other hand, the older generation may not even have a device capable of reading a QR code, nonetheless know how to use it. Not everyone is a fan of online shopping, or checking out websites. Some customers still prefer calling a business to learn more information. A great way to track direct mail response is to use a customer phone number on each direct mail piece. This way you can track how many calls each direct mail piece received. If you use the same phone number for everything, you can still ask customers how they heard about you or just pay attention to call volume overall in relation to when you’ve sent out direct mail. Similarly, some customers prefer doing things face-to-face. If you pay attention to how many customers you have at a certain time compared to when you have sent out direct mail pieces, you can find the correlation and see what may have brought them in. If your marketing campaign is requesting that a customer purchase a specific item, you can compare different direct mail campaigns against the number of purchases to see which direct mail pieces were most effective. You can also just compare your average number of sales against those during the number of sales garnered during a direct mail campaign to see if the campaign has impacted your average number of purchases. All of these methods can track direct mail response, however, those with campaign-specific numbers are the most accurate. Take a look at the data you have compiled and see which direct mail campaigns seem to be the most effective. Now, figure out why. Were you running a better sale than usual sale? Did you try a different art style? Did you promote web traffic instead of foot traffic? Did send your direct mail to a different audience? It is important to keep in mind that there are always different factors in play. 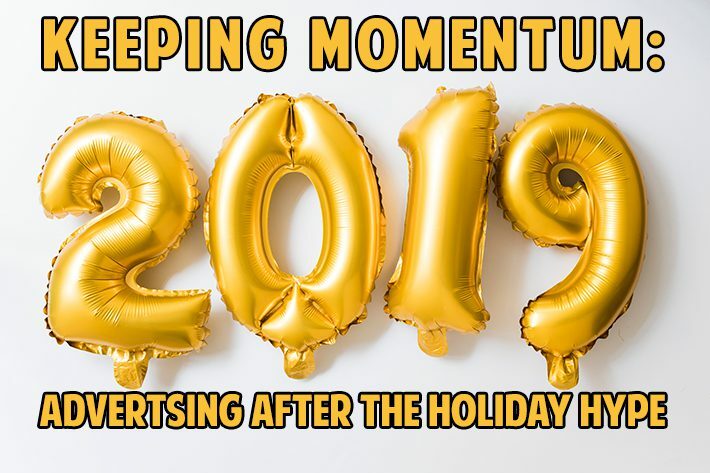 What season it is, if a holiday is nearby, or a million other reasons can impact how many people will respond to your direct mail, but you should be able to see overall trends that tend to be the most effective in your direct mail campaigns. Stick with these trends, and keep improving, and you will get the most out of your direct mail efforts! The world of direct mail can sometimes be tricky to navigate. While trying to remember all of the goals you have in mind, and everything you need to do to accomplish them, it can be hard to keep in mind what NOT to do. 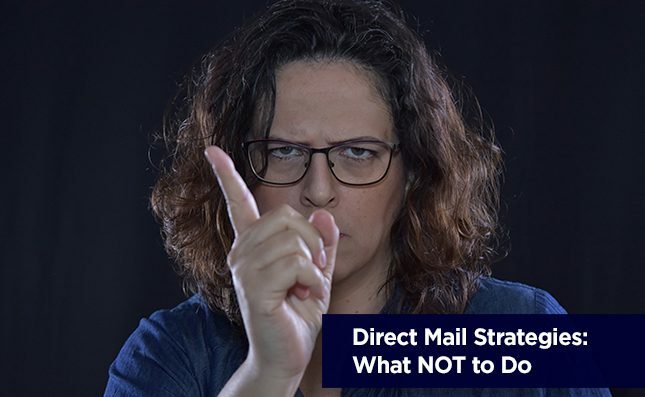 Lucky for you, we’ve compiled a list of 10 things NOT to do when using direct mail. 1. Don’t make your message hard to read. Of course you want to have an eye-catching design to capture the interest of potential customers, but if they can’t read the information it becomes pointless. Many people make the mistake of choosing a “fun”, whimsical font. While this may be okay for one or two words, you certainly don’t want to use it for the entire text. It is important to choose a font that is easily legible. While we are on the subject of legibility, please proofread! A glaring typo or weird formatting issue will not only make your message harder to understand, but it will also look like you don’t know what you’re doing or simply don’t care. If you can’t make sure your own advertisement is 100% flawless, why would someone trust you to do something for them? You also don’t want to include too much copy. No one wants to read a wall of text on their mail. Try to keep it simple, using only the necessary information. If a potential customer has to spend an ounce of energy trying to decipher what the message is, they are just going to lose interest and throw it away. Let your overall design and imagery do the attention-grabbing. You should never lie or “stretch the truth” in your direct mail. You want to make sure you can actually fulfill the promises you have offered. You may still make the sale on a technicality, but you won’t keep them as a repeat customer that way. Overselling yourself is also a great way to ruin your reputation in the long run. Another important thing to note is to verify that your disclaimers are correct and include as many details as possible. You don’t want to end up losing hundreds of thousands of dollars because you forgot to type the correct amount of asterisks. 3. Don’t use out-dated data. Old data is no longer good data. People move, businesses transform, and circumstances change. You can either clean up the list you already have or purchase a new list, but either way you need to make sure the information you have is correct and up-to-date. Sending mail to people who no longer live at that address, or a business that no longer exists, is simply a waste of money. If your data is more than 3 years old without ever being refreshed, don’t use it. Advertising a product directed towards the mother of a newborn isn’t going to be effective if it’s now being sent to the mother of a 5 year old. 4. Don’t forget to include a Call-to-Action. You are sending out direct mail because you want the people receiving it to do something. Be sure to let them know what exactly it is you’d like them to do. Be clear and concise, make it clear what they should do, how they should do it, and when they should do it. For example, “Sign up for this free trial by calling within the next 5 days!” By the time a prospective client is finished reading your piece, they should have a clear idea of what exactly to do. They should also have a sense of urgency to do so. Be sure to have a deadline for them to get whatever you are offering, so they feel they have to “act now” before they lose their opportunity. 5. Don’t focus on just the features. 6. 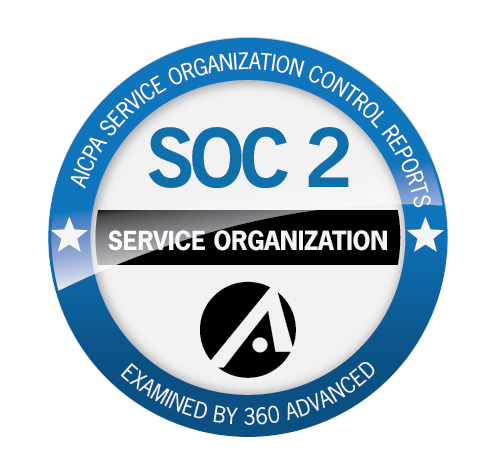 Don’t ignore the benefits of tracking. So you send out a few direct mail pieces and business is booming, great! But what piece of the puzzle was most instrumental at bringing in business? Was it one specific design that was more eye-catching, or was it that the list was better targeted for your desired audience? To be able to know the answers to these questions, you’ll want to employ some sort of tracking. An easy way to do this is by using a specific, different coupon code for each new direct mail piece. This way you can track which coupon codes brought in more business, and further analyze the data about what was different with this direct mail piece. If you notice that one of your coupon codes didn’t seem to bring in as much business, analyze the data. Did you try a different data list to send this piece to? Did you try a different discount? Was this design different than your standard? Figure out what works and what doesn’t work this way. Tracking your customers is also a way to keep up with new customers. Once you know who’s attention you’ve grabbed–you can keep it! Everyone likes feeling like they are special. Avoid using general statements, and try to make your piece appeal directly to your audience. A great way to do this is by using variable data within your piece. Using variable data, you can put in the customer’s name and other information you may know about them that way it feels like you designed this piece just for them! Being more personal and friendly establishes a relationship with the customer that makes them feel like you care about them, and will make them more likely to want to work with you. 8. Don’t forget to include a compelling offer. You have to convince people why they should be interested in what you are selling, and why they should be interested now. The best way to do this is to give them some incentive with a special deal, coupon, discount, or bonus–with an expiration date of course. It’s great to give them the information about your product or service, but that is only half the battle. Giving them a reason to purchase your product/service by making them feel like they’ll be missing out on a great opportunity if they don’t, tends to be a great strategy. 9. Don’t focus solely on the design. Of course you want to make your piece eye-catching to grab the attention of potential customers, but you have to make sure you’re getting your message to the correct people to begin with. The tried-and-true method of marketing known as the 40/40/20 rule says that 40% of your success will come from how effective your mailing list is, 40% will be decided by how compelling your offer is, and only 20% of your success will be determined from everything else–including your design, body copy, imagery, and delivery method. While having an amazing design is important, it doesn’t matter how eye-catching it is if it’s not getting to the people who would be interested in your product. 10. Don’t keep doing the same old thing. Our last tip is to experiment! Change your offer, change your design, change your mailing list, and refer back to tip #6 to track which of these changes seems to work best for you. It is important to remember that you’re going to have to keep changing also. Just because your direct mail piece was a hit the first time you sent it out doesn’t mean it will have the same results the tenth time around. Times change, people change, competition changes. Try new formats, offer new specials, even something as simple as a headline change can attract a different customer. Do everything you can to keep changing and you will continue to grow as a business.